Changes to the way bovine TB testing is delivered in England should not result in farmers having to pay towards testing costs if they want to keep using their own vets, the NFU have said. 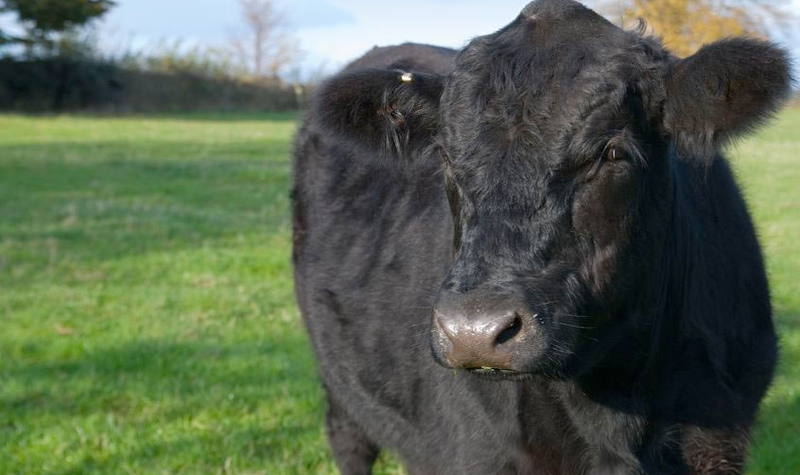 From 1 May 2015 all new TB testing and other Official Veterinarian (OV) work will be undertaken by 5 regional suppliers, who will be responsible for allocating local vets and ensuring testing is carried out to a high standard. This will help to drive up standards and ensure the ongoing quality of testing for animal disease. Currently, on-farm bTB testing in England is done by vets working for private businesses who are trained, appointed and paid by the Animal and Plant Health Agency (APHA) to carry out the work. From May 1 this year, APHA will manage bTB testing in England through delivery partners who have successfully tendered for the work and who will be responsible for allocating and monitoring testing in five geographical regions in England. The delivery partners were announced today (Mon). Minette Batters, NFU Deputy President, said farmers were concerned about the impact the change could have on them being able to continue to use their own vets. “Throughout this process we have made our concerns very clear to Defra and the APHA. It is vital that the new delivery partners maintain local service delivery so farmers can continue to use their own vets without having to pay towards the testing costs,” Ms Batters said. “The long-term relationships farmers build with their vets are hugely important for all aspects of animal health and welfare, and especially regarding bovine TB. These vets have often worked closely with farmers for many years, building up trust, knowledge of the farmer’s business, and a working relationship which allows them to have informed and detailed discussions about how best to keep bTB, and other diseases, out of their herds. “We are concerned that testing on some smaller farms, or farms which have more complicated tests, will no longer be economically viable for the local vet practice under this new system. “It is also important that if there are any problems when the new system is introduced which result in overdue tests farmers are not fined under cross compliance for something that is beyond their control,” Ms Batters said. Under the new system, the delivery partners are contractually required to offer testing work to vet businesses operating within their geographical region. Livestock keepers will be able to express a preference for a particular sub-contracted vet to do their testing and APHA has said this will be honoured where possible. Commenting on the award of contracts APHA’s Veterinary Director, Simon Hall, said: “This new partnership with the veterinary industry will modernise the way we deliver key services such as bovine TB testing and improve our ability to detect disease and protect animal health. “The new arrangements provide higher levels of assurance about quality of testing and value for money. Testing will continue to be performed by fully qualified vets and APHA will carry on working in close partnership with the veterinary profession. Farmers and livestock keepers will continue to be responsible for ensuring that TB testing is completed on time but in future will need to contact their regional Delivery Partner to make the arrangements. Delivery Partners will then be responsible for allocating the actual testing activity through their network of practices, and for assuring the quality of the work performed. In recognition of the important relationship between farmers or livestock keepers and their vets in preventing and controlling disease and for ensuring the health and welfare of animals, the new contracts require Delivery Partners to offer testing work to eligible veterinary businesses operating within their geographical regions. Work that has already been assigned to Official Veterinarian (OV) practices under existing arrangements will be completed by those practices but from 1 May all new work will be undertaken by delivery partners. When making arrangements for tests, farmers and livestock keepers can express a preference to use a specific veterinary practice from within the Delivery Partners network to undertake their testing, and this preference will be honoured where possible. Farmers and livestock keepers who would prefer to use a practice that is not part of the Delivery Partners network retain an option to pay for the testing privately. APHA will work to ensure that the livestock industry and veterinary profession are given information and support in preparation for the introduction of the new processes. We will be working with each of the Delivery Partners to establish joint plans for transition and communication of what the changes mean in detail, and further information will be published before the new arrangements commence. Commenting, BVA President John Blackwell said: “In any tendering process there are winners and losers. As our members are involved with the successful and unsuccessful bids we cannot comment on the specific of the awards. “BVA has always argued that changes to the delivery of OV services must not be driven by cost savings alone. We therefore opposed the original decision to move to a system of tendering for OV services because of the potential unintended consequence of undermining the sustainability of the network of veterinary practices in rural areas. We lobbied hard for the tendering to reflect the need for any new system to ensure that the vital relationship between farmers and their local vets continued and we were pleased that APHA included this requirement in the invitation to tender. “It is essential that local vets in England continue to play an important role in critical disease testing, such as bovine TB, and other OV services and we will expect the delivery partners to utilise the existing networks of local veterinary practices. We will monitor how the service is being delivered at a local level and feed in any concerns raised by our members to Defra and APHA, particularly in terms of any erosion of the link between vets and farmers and the potential impact of a loss of veterinary services in rural areas.